News, a little late in the day, of a conference taking place 6-7 February 2009 on the key African-American filmmaker of the silent era, Oscar Micheaux. Faded Glory: Oscar Micheaux and the Pre-War Black Independent Cinema is being presented by the Columbia University School of the Arts Film Programme and Film Society of Lincoln Center. It is, they say, fifteen years since the last conference took place on Micheaux’s work, and undoubtedly a great deal of work on Micheaux has appeared since then, as well as re-discovered film titles. In 1991, American film history was radically transformed when the U.S. Library of Congress acquired a 35mm print of a silent film titled La Negra (1920) from the Filmoteca in Madrid in a swap for a print of Dracula (1932). La Negra, as historian of African American history, Thomas Cripps, discovered, was the lost film, Within Our Gates (1920), one of twelve silent era films produced, directed, and written by African American director Oscar Micheaux. Soon after, the Museum of Modern Art acquired a print of Symbol of the Unconquered (1920), this time from the Cinémathèque Royale in Brussels, with intertitles still in Flemish and French. Suddenly, these two films opened up a radical new angle on the prolific filmmaker who had been known primarily through his controversial sound films. Paired with Body and Soul (1924), in which Paul Robeson plays a double role, the three silent Micheaux films became a trilogy that brought scholars of African American culture into silent era film history (1895 – 1929). The teaching of D.W. Griffith’s The Birth of a Nation (1915) was transformed as now it could be countered with Micheaux’s Within Our Gates (1920), the film that grew from opposition to Griffith and Thomas W. Dixon’s offensive epic. More importantly, the Micheaux silent trilogy allowed teachers and scholars to raise sensitive cultural issues because of the filmmaker’s bold approach to the question of what it meant to be a black American. It is not only that Within Our Gates contains a sequence in which a black man and woman are lynched and white Southerners gleefully cheer. In Symbol of the Unconquered, a black man passing as white rides with the Ku Klux Klan against a black oil prospector, and in Body and Soul, a black preacher rapes a loyal churchgoer’s daughter. From the position of Micheaux’s films, 1918 – 1948, which take the political pulse of the pre-civil rights era, one is led to ask about voting rights, property ownership, educational inequity, black entrepreneurialism, urbanization and black-white intermarriage. It has been nearly fifteen years since the first serious Micheaux conference. Held at the Yale University Whitney Humanities Center in January of 1995, “Oscar Micheaux and His Circle,” was structured as the second generation of Micheaux scholarship, a reconsideration of the definitive 1970s Black Film as Genre by Thomas Cripps. 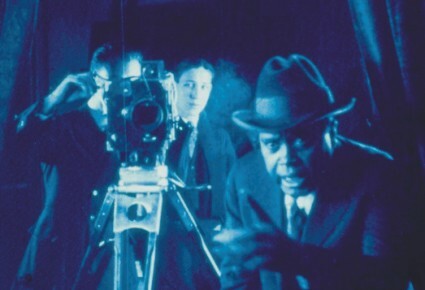 The films screened at Yale had an immediate second life on the program of the Giornate del Cinema Muto international festival in Pordenone, Italy, in October, 2001, and a collection, Oscar Micheaux and His Circle, edited by Pearl Bowser, Jane Gaines, and Charles Musser followed. Soon, a number of other scholarly works on race theory, black audiences, black musicals, and early African American cinema appeared. In 2007, the first comprehensive biography, Oscar Micheaux: The Great and Only by Patrick McGilligan was published. The consensus among Micheaux scholars is that a third generation of scholarship is now emerging, fueled by the fact that Micheaux remains a mystery and therefore a high priority research challenge. Some scholars have attempted to fit him into the Harlem Renaissance, others have argued that black literary Harlem was elite and Micheaux was a popularizer; some have defined him as a conservative, others as a radical, but Oscar Micheaux as an historical figure still remains elusive. Micheaux, however, is symbolic of the historical difficulty of retrieving the consciousness of another era. The fact that some of his motion pictures have survived him, however, makes the challenge of understanding his moment all the more alluring. Thus a defining feature of this conference weekend will be the Lincoln Center public exhibition of Micheaux films never screened together. 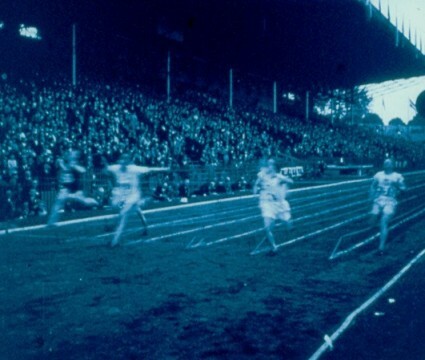 Now, in 2008, there are additional motion picture titles, some newly restored, that fill out the cultural territory of what was then called the “race movie” circuit. Both fragmentary footage and still images from the “lost” titles and the public 35mm and 16mm film exhibition of relatively complete work will bring to life the productions of these companies: The Richard Norman Company (Florida), the Lincoln Motion Picture Company (Los Angeles and Omaha, Nebraska), the Ebony Company, Richard Maurice Film Company (Detroit); other directors: Spencer Williams (Blood of Jesus, Dirty Gertie from Harlem, Juke Joint), and important actors: Paul Robeson, Bert Williams, Charles S. Gilpin, Evelyn Preer, Noble Johnson, and black film genres: (Harlem, western, detective, comedy). Further information, including a full conference schedule, is available from the conference site. For background information on Micheaux, as well as the books cited above, see the Micheaux Society website and the Oscar Micheaux Home Page. I keep thinking someone could make a nice biopic about Micheaux. I’d sure like to see this program.